There's a seminar I encourage you to participate in ...or go and watch .. 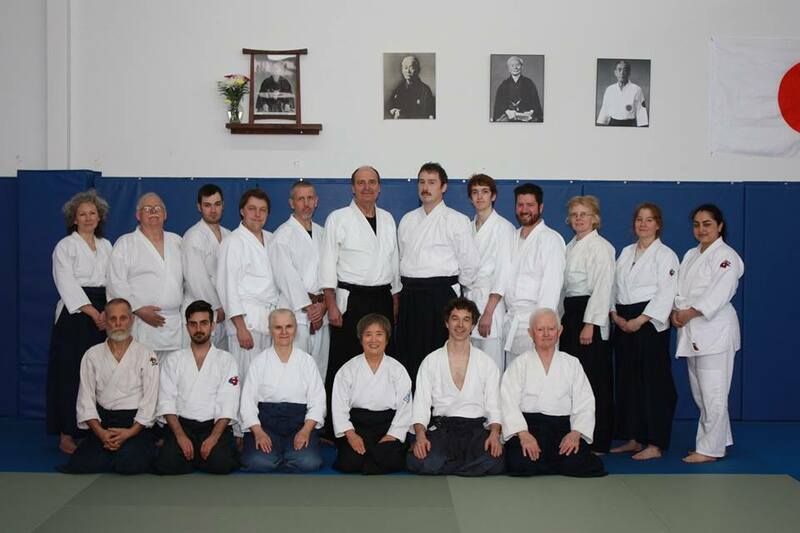 The MUN Aikido Club Spring Seminar (April 29-30) will once again be taught by Yumi Nakamura Shihan, Chief Instructor of Aikido Tendokai (Toronto) and one of the most senior instructors in the Canadian Aikido Federation. She has visited many times and anyone who has been to any of her seminars will know what a great teacher she is. Nakamura Sensei will teach all classes. The first class on Saturday morning will be a Beginner's class. All are welcome. 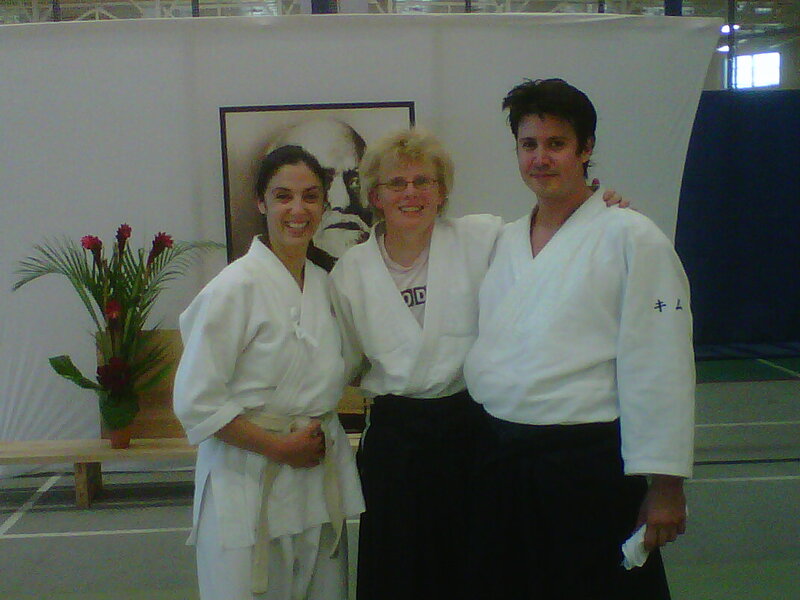 I first experienced aikido at MUN ...Les Mulholland was there. My attraction to the movement was immediate. But maybe there for 1 or 2 classes and had other commitments. I returned to the art a number of years later ..practising at Br Rice and Holy Cross. My early instructors were the MacDonald brothers ...Derm, Bill and Kevin. Sensei Derm was my consistant and longest and current sensei. I didnt know Grham Burt who died in 1979 ..he brought aikido to Newfoundland in 1967 from England. Derm, Bill and Kevin taught the forms from Graham Sensei. Sensei Derm has been my main teacher for most of my practise and is my current sensei. I have Derm Sensei to thank for involving me deeply on this path. I really didn't realize the depth of training and the opportunities in the world to visit other dojos as a kyu rank. After getting shodan I realized i still had a lot i wanted to learn. I practised even on my own time ..thats how much i loved aikido. For a number of years Paul was my practise partner, Then in recent years Jim too. Rob was for a while a number of years ago. I remember spending time with Tom Alteen ..learning again !! !Lately with the kids club on the go Colette and i explore aikido. I am rambling to say ...there are others who enjoy this learning journey too, And we just do it. I also visited Iwama overnight. They were gracious and helpful. Very small group and dojo space. O'Sensei put together this martial art ......Tokyo Hombu Dojo began in the 1920's. I visited the modern site in 2012. O'Sensei died in 1969. The top picture was the upper floor of Hombu. Main classes practise here. 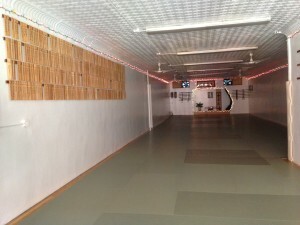 The lower picture is the mat where beginner classes and kids practised. Lots of places o practise ...What i learned - the Seneis were very experienced and taught very simply. Repetition and basic moves. Crowded classes but wonderful practise. It is easier when geographically closer to training centers ... so much at your finger tips. Regardless - repetition of basic technique and ritual. Simple means to progress. So true for many things in life. Yamada Sensei arrived in New York in 1966... and the beginnings of aikido in the western world took strong root. It was a humble beginning ...and in the start of the 21st century ...many years later i would find a humble place still. A few years ago i stayed a month in New York at Yamada Sensei's dojo. It's a permanent center of practise. Deshi ...long or short term stay there from all over the world. I returned a couple years later and stayed a week. Always something to learn. Yamada Sensei ..... in my opinion, has been a wise leader of aikido in the western world. He initiated aikido in many parts of the western world. I have stayed briefly a couple of times at his permanent dojo in New York. It had very humble beginnings. Even now it has a relatively small practise space with modest facilities. BUT with expert teaching and routine. Numerous classes per day. Since Yamada arrived decades ago he trained many who now teach at his dojo and many who have gone on to open their own dojo. Men and women and kids train at Sensei's dojo. People of all ages and ranks ....and from all over the world. I encourage others visit as i did. It inspired me to continue practising and formed my aikido growth. She looked around the House ...and hoped next time there would be more women ....A lot of progress has been made in our progressive society. Numerous times in my life time I have heard ..girls and women "don't or can't " do that. It was difficult many times but i still did what i hoped to do. BUT doors were closed ....unfairly. Now is a different age ...Malala is brave. She faces death. In our society we only face neglect and or disrespect. Sometimes it's just said ..but nowadays it's mostly indirect. 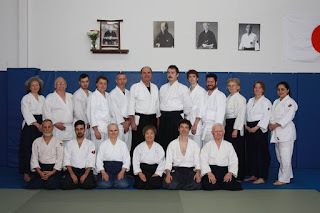 taught by Yumi Nakamura Shihan, Chief Instructor of Aikido Tendokai (Toronto) and one of the most senior instructors in the Canadian Aikido Federation. She has visited NL many times and anyone who has been to any of her seminars will know what a great teacher she is. Classes continue this wednesday at Bishop Field. Sensei Jim Shidoin will have to take a raincheck ....BUT CLASS goes on !!! !